You may have a solid backup solution in place, or maybe you just wing it and hope for the best. The fact is, we get literally hundreds of calls each and every year from clients who thought they had their data backed up. When a media failure occurred they found that their backup didn’t contain the data they thought it should have, or the backup was corrupted. They were then forced to either lose their data for good, or face the expensive proposition of having their data recovered professionally. This is such a regular occurrence that we have decided to implement an additional level of protection for our customers, a type of data recovery insurance coverage, it’s called our Data Recovery Protection Program. You will receive the same level of professional service that all of our customers receive. If you select our Unlimited plan, your job will automatically be entered into our system for Expedited Service. That means you will not only get professional data recovery services, but you will also receive the fastest possible turnaround. All recovery work includes shipping to our lab, any parts needed to make repairs to the failed media, a new external drive to copy the recovered data to and return shipping. For less than fifteen cents per day, per storage device, you will be adding a fully equipped data recovery lab to your IT department. The benefits of this are substantial. If data is lost within your pool of users, there’s no need for your IT technicians to try and diagnose and repair the storage device themselves. The reality is, data recovery is a specialty, and hard disk repair is something that requires experience and the proper tools to be completed effectively. Our Data Recovery Protection Program takes the responsibility out of the hands of your IT personnel. One of the leading causes of data not being recoverable, is when we receive drives that have already been worked on by individuals who are not experienced with data recovery. When data loss occurs, sometimes users or IT technicians will panic or they just have a perceived image that hard drives are easy to repair, and they will make the attempts themselves. This would no longer be an issue. If a hard drive fails, you simply box it up, and ship it to us. 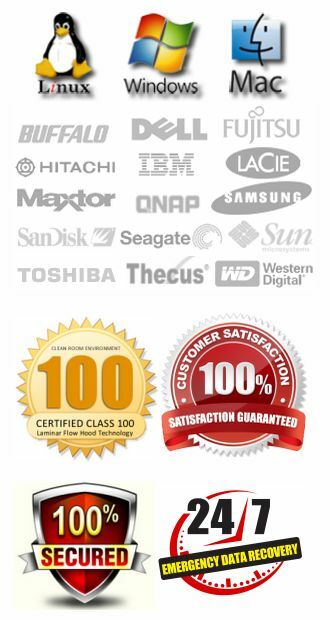 Is Data Recovery Guaranteed To Be Successful? As with any recovery we do, successful recovery is not guaranteed in all situations. Factors such as platter damage and severe data corruption are two elements that most commonly prevent data from being recoverable. There is simply no way around those circumstances if they occur. 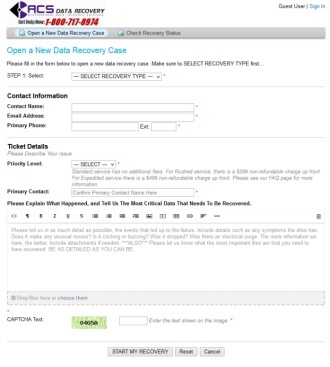 Rest assured that if for some reason we are unable to recover the data, then it won’t be recoverable by anyone.